It’s another gray morning as I look out my kitchen window today. Gray skies and even mostly gray bark on the trees as I gaze over the woodland behind my house. What, you say, is wrong with me? Don’t I know that tree bark is brown? Remember how the brown crayons in school were brought out to color the bark of trees we had drawn? It’s taken for granted that all tree bark is brown. Just ask anyone and they’ll tell you its so, but If you go right up to a tree, the bark appears gray, or some shade of gray, not usually brown. This is the time of year when sunrises and sunsets can be most beautiful. There are no leaves to get in the way of the view. Very recently, I was in Helen Hayes Hospital in Haverstraw. 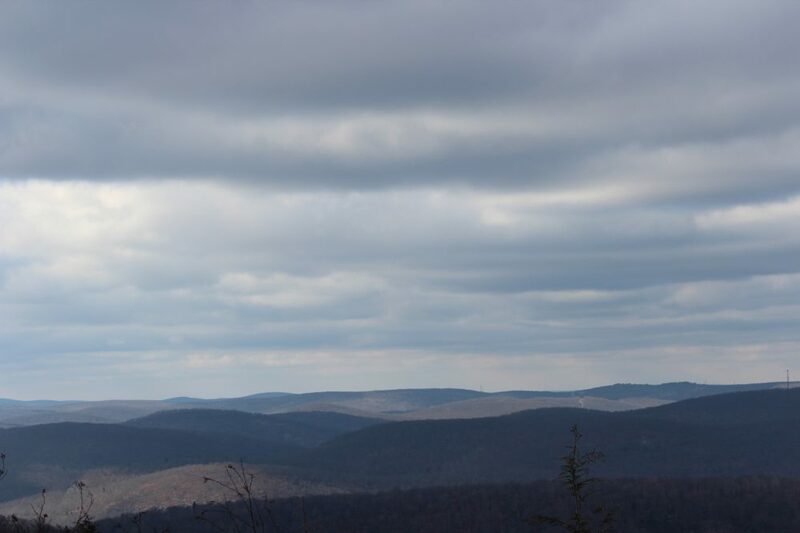 It sits on top of a big hill, and views of the the Hudson River and nearby mountains were grand. I woke up just as the sun was rising and the sunrise over the Hudson was just spectacular, in a quiet way. I wanted to run around to every patient, nurse and doctor and tell them to look out a window. That probably was the best medicine of the day. 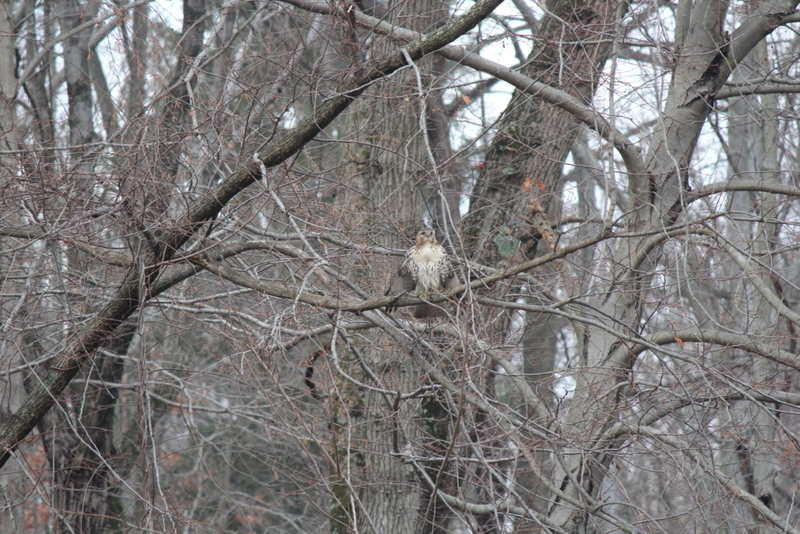 Can you spy the creature who’s ability to camouflage relies on the grayness of a winter day? If you’re receiving our blog for the first time, welcome! To those who are long-time readers, welcome back. In each issue of our monthly newsletter (which we also post hear on our blog) you’ll hear from interesting contributors (familiar faces from camp), learn of goings-on in and around our community, and get ideas and inspiration for recipes, projects, and more. The Dirt is the medium through which we transmit the Nature Place spirit to you, our dear friends and families, and keep it going all year long, until summer comes around once again. We hope you enjoy! The weather this past week at camp has been just beautiful! Temperatures were in the low 80’s and the air was dry, with crisp, cool mornings. These finest of summer days were possible after Tuesday’s dark, intense rainstorm, complete with plenty of thunder and lightening. The gorgeous days since have been so perfect for time spent outdoors, in the height of nature’s blooming, green growth, that it almost feels like camp could just roll on forever. But, the truth is, we’ve got just half of it left! There are three adventure-filled, wacky, fleeting weeks of The Nature Place Day Camp still to come. 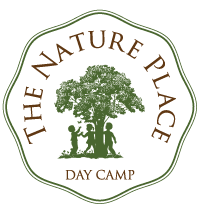 If your camper especially enjoys the hands-on nature, garden, and farm experiences at The Nature Place, Farm & and Garden Days would make a great addition to their summer lineup. Cow-milking, horse-plowing, gardening, and a pizza party extravaganza are just some of what makes up this program. Plus, we’ve added a new extension created for younger campers ages 5 and 6. If art and nature-inspired creativity are what excites your camper, our new Art & Earthprogram is just the thing. Taking place in the painting studio at the Red Barn, and mixing hands-on creative work with materials from and time in nature, this new program is for the nature-loving artist. 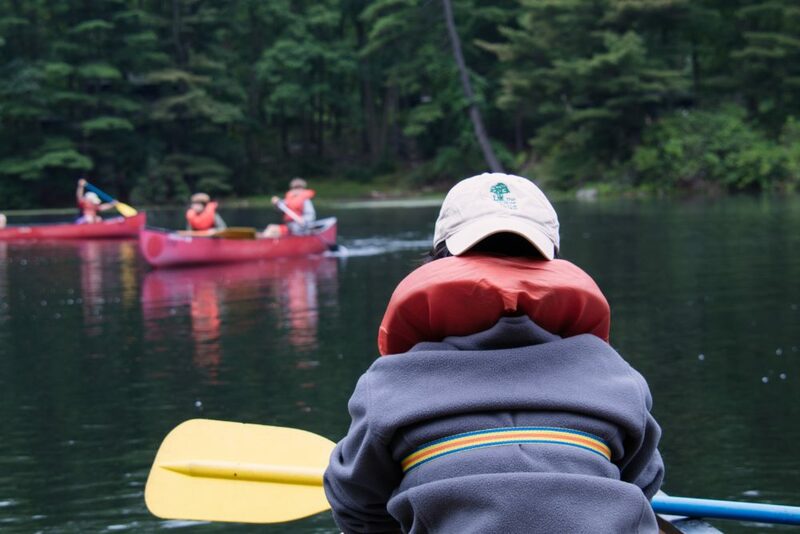 If your camper is a teenager age 13 – 16, looking to find community, a renewed sense of self, and meaning through a strong relationship to the natural world, Passagesis designed for them. A wilderness rite-of-passage experience for adolescents, this program combines survival skills and techniques for securing shelter, food, fire, and water with deliberate time for community-building, self-reflection, and ceremony. This week’s theme was Be’an Green. We had songs, activities, events, and Morning Shares relating to living sustainably on our planet earth. Nature drumming in Music with Rocki. 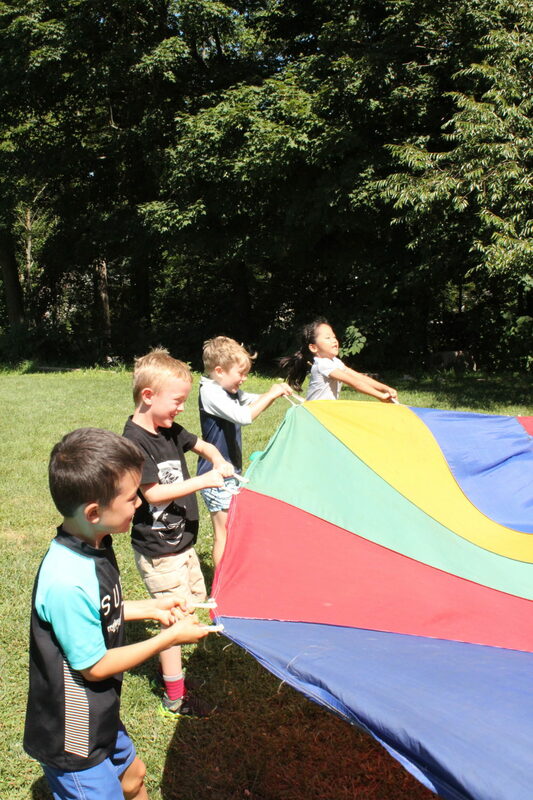 Campers played high and low nature ‘instruments’, boomwhackers, and other percussive items to play patterns, and took turns conducting some favorite camp songs. Being green in the Nature Pond in Nature with Alex. Campers explored animal and plant life at our algae-covered, wooded nature pond, finding dragonflies, frogs, turtles and many types of insects. Campers learned about the predator/prey systems and life stages of pond inhabitants, and a mucky time was had by all. Beans and greens all around the world in Cooking with Eva. Campers prepared all sorts of different bean salads, plated on beds of salad greens. Mediterranean, Thai, Mexican, Italian, and Greek bean salads were a few of the varied options. Learning trapping techniques in Outdoor Skillz with Joe. 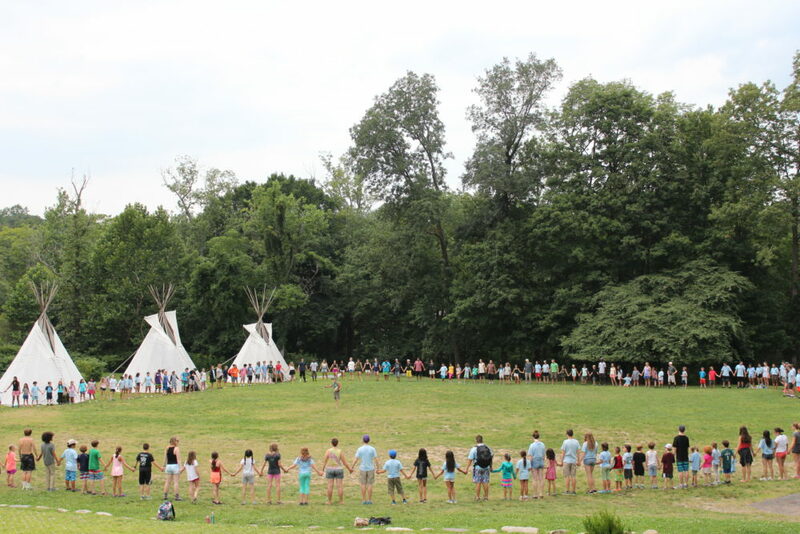 Younger campers were treated to a ‘show and tell’ of many of Joe’s greatest treasures including a deer skull and buttons made out of deer antlers, obsidian tools, arrowheads, a pouch made from squirrel pelt, coyote tracks, and more. Shooting our best shots in Archery. 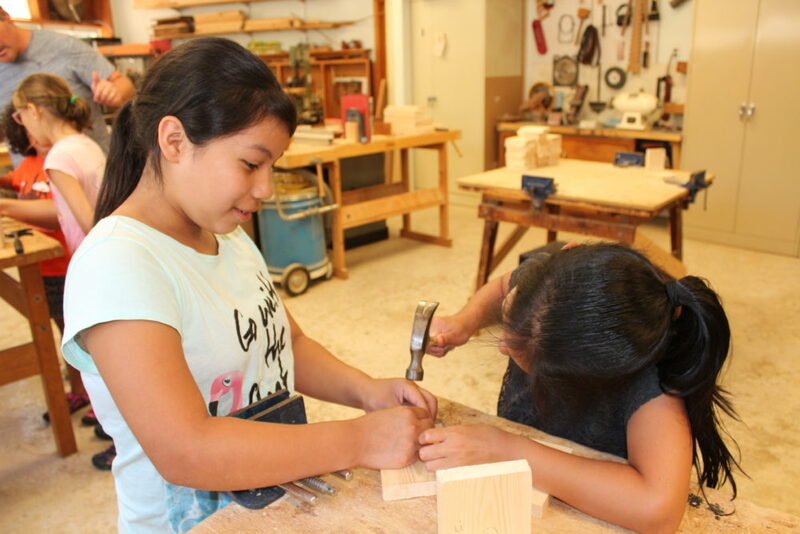 For older campers, learning the art of kokedema and creating a hanging kokedema ball in Art. These were constructed by making mud/clay balls, inserting a small plant in this soil ball, coating the whole thing with moss, and then tying string around it all, with additional strings for support so that the kokedema ball can hang nicely (in front of a window of your home, perhaps). Younger campers learned the art of paper making by giving new life to shredded, used paper. They then pressed this paper into molds and sprinkled them with wildflower seeds, to create plant-able art that will grow pollinator-attracting flowers. Talk about be’an green! All sorts of theater/communication games in Drama with Janet. These included MILL, blink and switch, eagle eye, honey, evolution, green bean hunts, reenactments of ‘Jack and the Bean Stalk’, and many more bean skits. 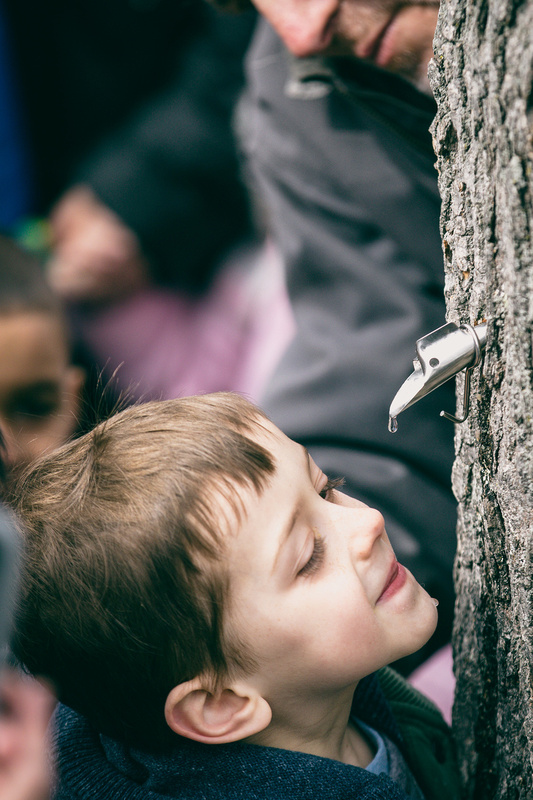 Playing games with Nature May that taught us about the life of coyote pups and the perils of pesticide bio-accumulation in predator birds, as well as exploration in the Nature Pond with nets and keen eyes – discovering dragonflies, snapping turtles, and frogs. Oodles of non-competitive games with Leah. These included ships and sailors, blob tag, cat and mouse, the igloo game, and the handshake game. Building bean teepees in the garden. 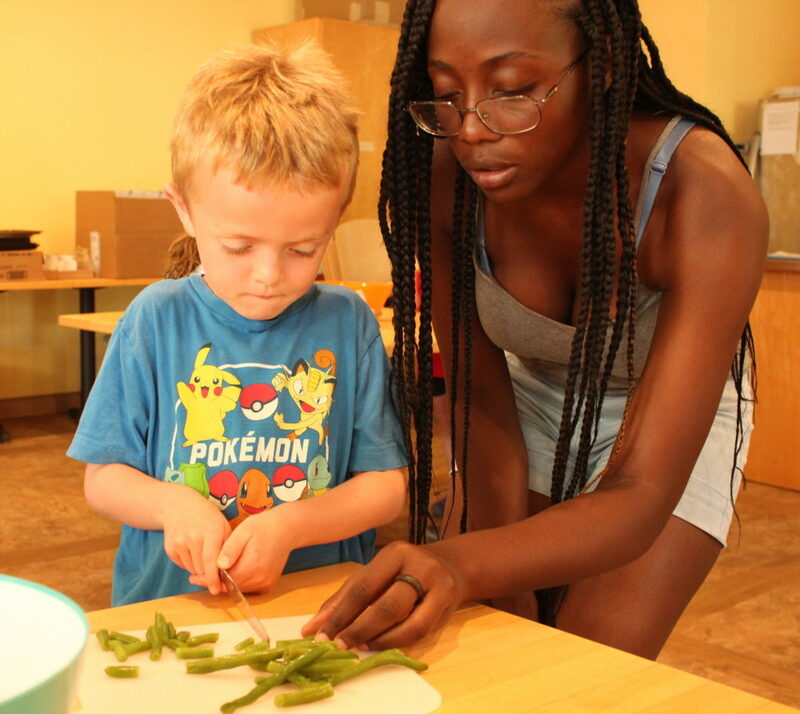 Campers learned about the three sisters (corn, beans, squash) and other kinds of companion planting, and created supports for plants that climb, using sticks and bamboo to form a teepee shape, as well as using other plants like corn or sunflowers as supports. Campers also made seed necklaces that will allow the seeds of the Three Sisters to sprout inside and then be transferred to a pot or garden. Petting baby guinea pigs, Hamlet the pig, an Iberian ribbed newt that can poke its ribs through its skin in self-defense, and an armadillo in Outragehiss Pets. Rhythmic games and joyous drumming with Mashobane. Hobbies this past week included archery, chickens, drumming, knife skills, climbing, making lip balm, project runway (a la Nature Place), cooking secret brownies, wild food foraging, wildlife scavenger hunt, wood working (making book ends), and more. We were all treated to an incredible special performance on Friday afternoon by Arm–of-the-Sea Theater. Using spectacular puppets, scenery and props, with an original live score that had us all singing along, this brilliant performance taught us all about ‘Dirt: The Secret Life of Soil’, including the world of mycelium, microbes, soil chemistry, soil-dwelling insects, plant life and more. Story Night with Chuck is happening this coming Thursday, July 26th. 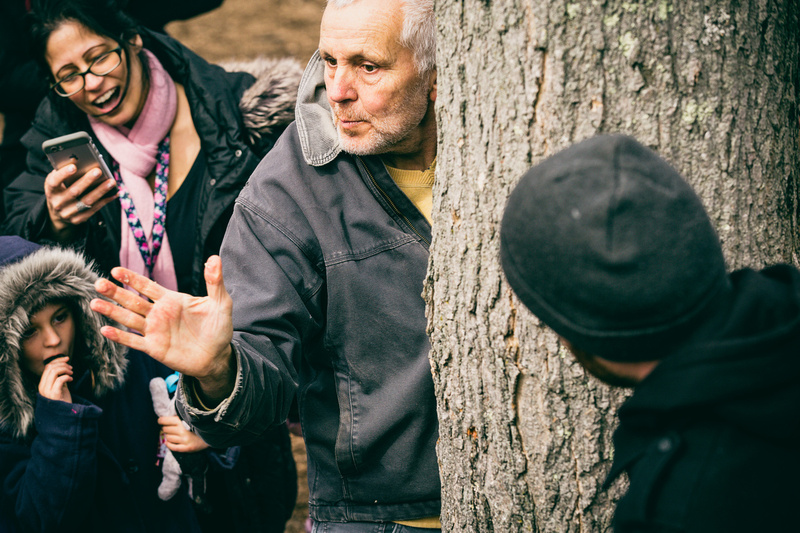 Come back to camp and join us at 7:15 pm to hear master storyteller Chuck Stead tell beautiful, hilarious, place-based stories of his youth growing up in the nearby Ramapo mountains. You may have heard bits and pieces of his stories from your children; now, come and hear a whole one. This evening event is great for the whole family (you can bring friends, too), but we recommend it for children ages seven and older. Next week‘s theme is ‘Oh Deer, There’s a Whistle Pig in the Garden!’ What is a whistle pig, you ask? It’s another name for a groundhog or woodchuck, which can be tragic guests to a garden, eating up anything in sight before you can blink twice. There’s also a lot to be learned about them! Did you know groundhogs can climb trees? You can get a sense this week will be animal-centered, whether it be deer, whistle pigs, actual pigs, or other. Our grand plan is to have Coco, our neighbor’s mini pig, star in Morning Share, wearing a whistle around her neck, of course. Next week there will be two day hikes, two almost overnights, four cedar pond trips (canoeing and camping), and two backpacking trips. Group Q will be doing a four-night backpacking trip, tracing the route of the original Appalachian Trail through Harriman State Park. The forecast promises rain and thunderstorms, which will keep us in the spirit of muggy mid-summer. Where last week’s cool mornings seemed to hint at autumn, this humid, perfect swimming weather, with thunderstorms rolling through in the afternoons, should keep us well-oriented toward the proper season. 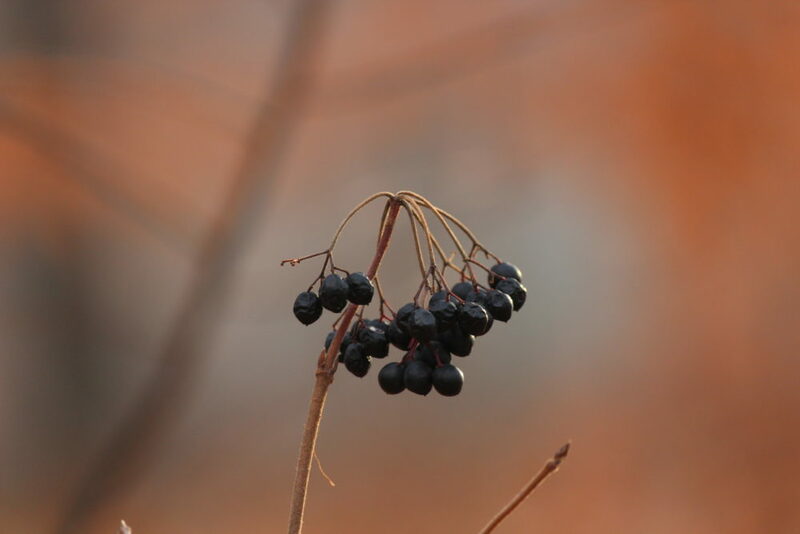 If you see a few yellow or brown leaves that have left their branches prematurely, or if you notice the flowering Queen Anne’s lace, pale blue chicory, or see the soon-to-blossom golden rod, just ignore it for a while longer. 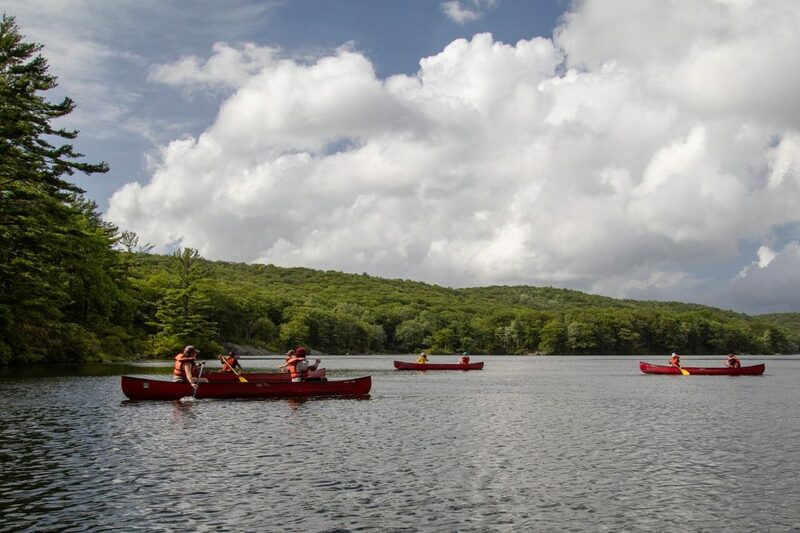 While the summer season is slowly beginning its rotation toward autumn, we’ll make hay while the sun is high, reveling in the friendships, adventure, and freedom of camp. Thanks for spending some of your summertime with us at The Nature Place. I can’t think of anywhere else I’d rather be. Fresh sliced ham & Swiss cheese on croissant with yellow mustard. The Cafe is really the cat’s meow. Dreaming their dreams of sunshine and June. Isn’t it perfect for this time of year? I like to think of myself as one of those blossoms. I often find myself daydreaming of sunshine and June and, of course, the start of camp, as the clocks change and daylight hours stretch longer and longer, but that spring-time warmth is still elusive. I keep the summer-song of the thrushes (did you know that ‘throstle’ is an old-fashioned word for a song thrush) close to my heart and as summer gets closer, I look for the early signs that it is near. On top of dreaming about summer, our year-round crew has been busy preparing for it; excitedly working to bring our 33rd Nature Place summer to you. This week, we’re down at the American Camp Association’s Tri-State Camp Conference in Atlantic City–the largest gathering of camp professionals in the world!–where we’ll take workshops, expand our horizons, and spend time with other camp folks dedicated to spreading the joy of the camp experience. If our excitement for summer was enough to melt the snow drifts and awaken the sleeping blossoms, Spring would have sprung long ago. is a fifth season? It’s Sugaring Time. 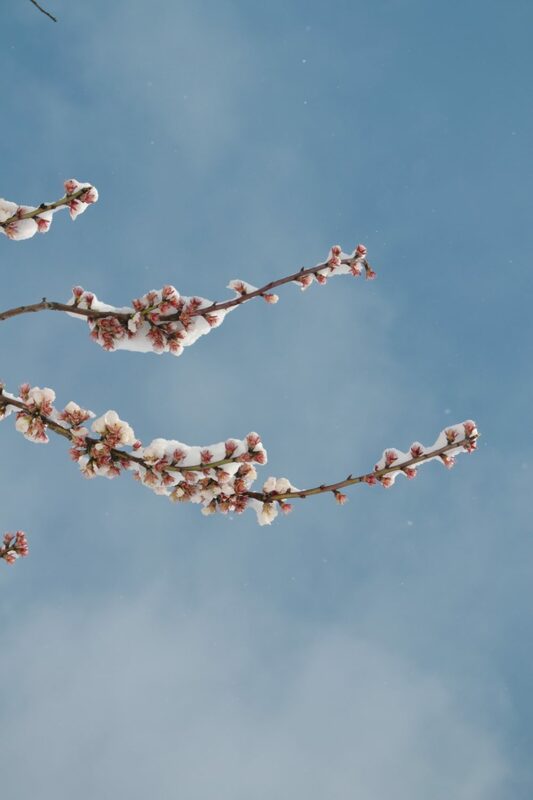 Coming right between winter and spring, it can last for 2 weeks or close to two months. It’s all dependent on the weather. Cold nights and warmer days are what’s needed for the buckets on our maple trees to fill with the clear, sweet liquid we call ‘sap’. We then boil the sap until it turns into that amber aristocrat of all sweets – maple syrup! I hope you can make one of the two maple sugaring programs we will be offering this Saturday, February 24th. 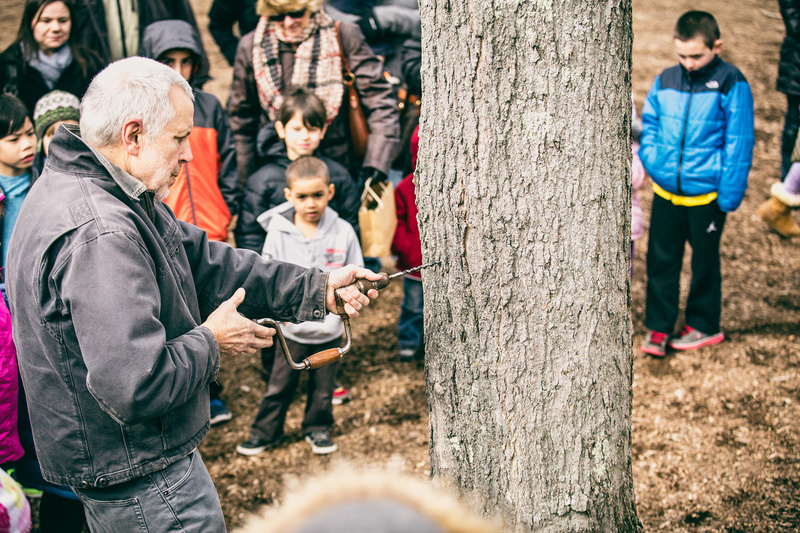 The purpose of the program is to give you enough information to identify a maple tree, show you how to ‘tap’ it, how to collect the sap, and how to boil it down to maple syrup. Each family will take home a sheet of instructions and your very own spout. Sugaring is a great family activity – everyone can get involved in some way and the syrup you’ll make will be the best syrup you’ve ever tasted in your life! Looking forward to seeing you as we celebrate our fifth season. When it’s a nasty, cold, winter-mix kind of day, and it seems that its been gray forever, just think about that the fact that the sun is still shining very brightly right above the clouds, just as it does on the sunniest day. And if you’re feeling a little grey like the day, remember that somewhere there is light, above the clouds, throwing shadows against the earth. If you find yourself within your own shadow, look for the light – it is there. The bigger the shadow, the larger the light. This is the time of year where we have the shortest daylight. It’s gray. It’s rainy. There’s not enough snow yet to make it feel brighter, prettier, seasonal. Some people experience a condition called SAD – Seasonal Affective Disorder – in the winter months, due to a lack of light. Special lamps are sold for people to sit under each day, which mimic the sun’s light. Reports lead me to believe they work! * The sun rises in the morning and sets at night. This seems trivial but did you ever think about how it happens each and every day, without fail, and we can depend on it? You can find your own truths out of doors. Forget the news for a while. It’s time for a nature break. We think we can manipulate time, twist it like a Gumby, do whatever with it. For example, we say we can save it, spend it. But I don’t know of a time bank where you get time interest from the time you put into it. You can have a great time, a terrible time; we believe we can even make time; take time out; be on time; waste time; lose time; run out of it; squeeze time. now….now….now….now….now….now…. You get the idea. We live only in this moment, this now. There are a lot of moments in front of you. You are blessed with many possibilities and choices of how you want to be or what you want to do in the next many moments. Yes, the choice is yours: what will you make of the most precious thing you have? This month of October is glorious in so many ways. I hope you will choose to “spend” your time with your children out-of-doors. To those of you who are reading our blog for the first time, welcome! To those who are long-time readers, it’s good to have you back. Each year, when I am called to prepare my contribution for September’s issue of The Dirt and its corresponding blog post, it is a tell-tale sign for me that summer is over, and it is time once again to enter the magical and transformational season called ‘fall’. As many of us know, beyond our personal, unofficial signs of fall’s arrival, there is in fact an official beginning to the season. This year, the autumnal equinox occurs on Friday, September 22nd at precisely 4:02 PM, when the sun crosses the celestial equator. On this day we will have equal parts night and day. From then on, nights will slowly become longer than days, until we arrive at the shortest day of the year, the winter solstice in December. From there we begin the slow lengthening of our days as the cycle through the seasons continues. With the thought of this cyclical, circular motion in mind, I’d like to share with you a poem I wrote following our last day of camp, just a bit over a month ago. Though the season has begun to turn, the memory of that day is still just as fresh in my mind as if it happened yesterday. It is one that I will hold dear as we enjoy each changing season, until we arrive at glorious summer once again. without fail, we take time for goodbyes. that this year held one final surprise. we always find room for each other. the earth, the moon…the seasons. we’ll be back, under next summer’s sun. it did form one great, perfect HEART. in this wondrously suitable way. some meaningful, well chosen words. had rendered them moot and absurd. though we hadn’t known what was at play. the oohs, the ahhs were all profound. here the proof stood on the ground.